WiredWest Archives · Stop the Cap! Two years after Republican Massachusetts Gov. Charlie Baker imposed a state-mandated “pause” on WiredWest, a collaborative, multi-community, publicly owned fiber to the home broadband network for western Massachusetts, Comcast is celebrating the introduction of expanded service in the towns of Buckland, Chester, Conway, Hardwick, Huntington, Montague, Northfield, Pelham and Shelburne, made possible with a $4 million taxpayer-funded grant to the nation’s largest cable operator. While state officials continually questioned the economics of WiredWest, which by that time enrolled more than 7,000 eager would-be customers with $49 deposits, Comcast repeatedly declared it was “uneconomic” to provide broadband service to most rural western Massachusetts communities, at least until state officials paid the cable giant millions of dollars to reach 1,089 previously unserved homes and businesses in the nine towns, effectively giving Comcast a broadband monopoly. 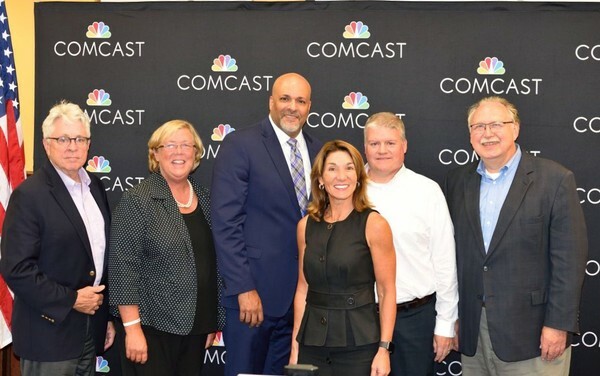 “We were pleased to work with Comcast, who met the two-year timeline we set to deliver critical 21st-century broadband connections to more homes and businesses,” said Lt. Gov. Karyn Polito in a press release this week. She called the project “a great example of a public-private partnership” that would help resolve rural Massachusetts broadband problems. WiredWest could not have met Polito’s two-year timeline, primarily because the collaborative has been blocked and ambushed repeatedly after Democratic Gov. Deval Patrick left office. State officials in Boston and the Massachusetts Broadband Institute (MBI), responsible for funding broadband initiatives, began a campaign of fear, uncertainty, and doubt about the project shortly after Gov. Baker took office, culminating in recommendations from then-MBI director Eric Nakajima imploring towns not to sign agreements with WiredWest, and eventually withholding critical funding from the broadband cooperative, questioning its governance and operating model. It soon became clear Gov. 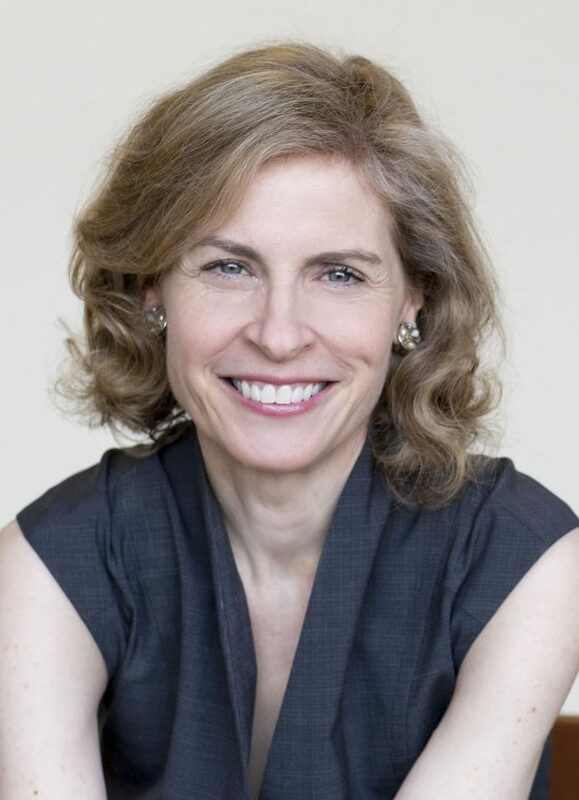 Baker preferred an industry solution to the rural broadband problem, which caused broadband advocate Susan Crawford to slam the decision in early 2017. Despite the roadblocks, many of the communities staying loyal to the WiredWest concept have hired Westfield Gas & Electric’s ‘Whip City Fiber’ division to help design and construct their own fiber to the home networks, which will be superior to what Charter or Comcast plans for the region. For exasperated residents and businesses who have waited more than four years for broadband, the politics and constant delays have become secondary issues to getting broadband… from somewhere. That may explain why Kevin Hart, who frequently objected to Comcast’s proposal to build an inferior copper-fiber network while chairing the Montague Broadband Committee, suddenly switched sides and praised the Comcast project this week for its timely introduction of broadband service. The head of a state-funded group with direct ties to the Massachusetts governor’s office told local officials in New Marlborough that the Massachusetts Broadband Institute (MBI) “believes in cable companies” and is favoring one — Charter Communications, with an exclusive offer to invest millions in taxpayer dollars to entice Charter to bring its Spectrum cable service to town, while telling would-be competitors the money is only available to Charter Communications. MBI was created in 2008, originally tasked with investing $50 million in state funds to help resolve the digital divide between eastern and western Massachusetts. MBI also manages the publicly owned, middle mile fiber optic network that towns in western Massachusetts are depending on as part of their plans to connect local residents to the internet. In 2015, MBI suddenly yanked support for WiredWest, the region’s most robust and credible player in connecting residential homes and businesses. The group had spent several years organizing and educating some two dozen largely rural communities, and was well on its way to constructing a public broadband network for the towns that agreed to sign on to the project. Since 2015, a series of political disputes, bureaucracy, and confusion has stalled broadband expansion. 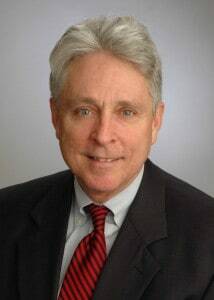 Peter Larkin, MBI’s board chairman, has been roundly criticized in many western Massachusetts communities for continuing MBI’s slow and cumbersome bureaucracy, frequent policy shifts, and most recently playing favorites with cable companies. Ignoring his own organization’s systemic failures and bureaucratic roadblocks, Larkin has recently leveraged community frustration with the slow pace of progress as an excuse to hand two of the nation’s largest cable operators public taxpayer dollars to complete a project MBI was directly responsible for stalling. Under the latest proposal, outlined last Friday, Charter Communications would receive $3.1 million to expand Spectrum cable service to at least 96% of the community of New Marlborough. Originally, the town was responsible for $1.44 million in cost sharing with the state, a substantial sum for a community with a population just over 1,500 residents. Larkin last week offered to split the cost to the town, with the town’s share reduced to $720,000 — payable directly to Charter. “The state is willing to cut the gap in half to make this project go,” Larkin said. But that deal appears to be good only if the town selects Charter Communications. Over the last year, MBI has been allocating public taxpayer dollars towards private cable and phone companies, especially Comcast and Charter, to get the companies to agree to expand their cable systems in areas both have ignored for decades. WiredWest’s proposal made towns partners in the project. Larkin’s offer suggests taxpayers should pay up to 50% of the expansion costs, while Charter keeps 100% of the revenue and profits. In the past, MBI’s financial carrots have been enough to get the two cable companies to expand using state matching funds alone, but as the town’s Broadband Committee Chairman Richard Long told the Berkshire Eagle after the meeting, he thinks this is the first time an unserved town in central or western Massachusetts will have to contribute local taxpayer funds as well just to get service from a cable company. Larkin’s hard sell for Charter raised eyebrows among some in the town, especially after Larkin offered to use state funds to also finance their $720,000 portion of the deal over as much as a decade. Larkin claimed he wanted to get the project done and wanted to be helpful. “The state may spend moneys or engage in other activities that benefit or incentivize private businesses in order to promote such [economic] development and it may authorize or partner with its cities and towns to do likewise,” Larkin recently wrote in a letter to towns offering to help them get negotiations going with the cable companies. Town resident Dave Travis called Larkin’s offer something else. “Call me a whistleblower, concerned citizen, activist for fairness, justice and democracy, but for Massachusetts Broadband Institute to show such blatant preferential treatment [to Charter] when there are qualified, experienced local options feels like corruption, and it needs some serious daylight,” Travis wrote. WiredWest’s Tim Newman exposed just how far Larkin was willing to go to bat for Charter. “Is the generosity you’re presenting to our town on behalf of Charter the same generosity if the town were to build its own network?” he asked Larkin. “We do believe in the cable companies … we think it’s a value worth leaning in a little bit harder for,” he said, suggesting Charter has the financial ability to complete the project. “So, the short answer is ‘no’ — the $720,000 would not be available?” Newman pressed. While rural western Massachusetts is stuck in a rural broadband swamp of Verizon’s making, politics in the state capital and governor’s office are risking Yankee ingenuity for another “free market” broadband solution that won’t solve the problem. The dedicated locals that created WiredWest, the grassroots-envisioned regional broadband solution for more than two dozen towns suffering with inadequate or non-existent broadband service, have toiled for nearly a decade to accomplish what Verizon (or a cable operator) has never managed to do – provide consistently available internet access. 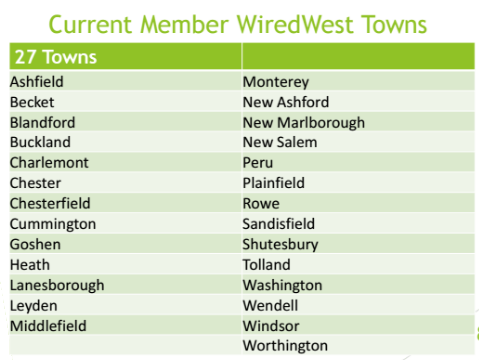 WiredWest spent years carefully listening and learning the needs and challenges of each of their member towns. Communities affected by broadband deficiencies in this part of Massachusetts range from the most prosperous areas of the Berkshires to those financially struggling with a range of economic challenges. On August 13th, 2011, The WiredWest Cooperative in western Massachusetts was officially formed by charter member towns. The project has gained some town, lost some others as the region works towards faster broadband. WiredWest’s original plan would have brought fiber broadband to practically everyone in the region in just a few years, with more prosperous and populous towns helping subsidize network construction costs for their more budget-challenged rural neighbors. The goal was to avoid the patchwork of broadband have’s and have not’s that many private providers have created across rural America. Establishing a regional network instead of trying to launch dozens of smaller community-owned providers would help streamline costs, avoid duplicating services, and deliver continuity of service. The concept made plenty of sense to two dozen town leaders and the participating communities, most voting to support the regional approach. But it apparently didn’t seem to make a lot of sense to a bureaucratic state agency called the Massachusetts Broadband Institute (MBI) that suddenly questioned the project’s operating plan and has avoided releasing tens of millions of dollars stashed in its bank account designated for rural broadband network construction. 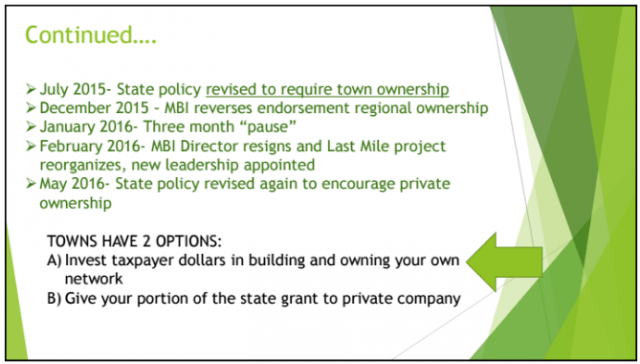 MBI’s detractors call the agency a “concern troll” and some question whether MBI’s objections are the result of the usual friction between out-of-touch state bureaucrats and the rural communities they are supposed to help, or something more insidious. Others are content stating MBI’s position simply does not make any sense. MBI spent more than a million dollars of taxpayer funds on lawyers and a Bangalore, India-based consultancy to produce and defend a dubious hit piece “analysis” about WiredWest rife with misconceptions and factual errors. The MBI-sponsored report concluded WiredWest would simply never work. What works better for MBI is handing out $4 million in taxpayer dollars to Comcast, with tens of millions more to be spent on funding private rural broadband projects in the future. For an agency that has produced virtually nothing so far, MBI is a high-priced operation. As far as I can tell, last year MBI spent $1 million of those state funds on consultants, lawyers, and administrative costs in order to hand $4 million to Comcast to provide its usual service to about a thousand homes in those nine Massachusetts towns that already had some cable service. What’s odd is that MBI told the public it chose Comcast because the company had vast experience and could get the work done without involving MBI—so it cost $1 million in oversight expenses to choose a company that doesn’t need oversight. Despite protests from many residents across WiredWest’s would-be service area, Massachusetts Gov. Charlie Baker sided with his bureaucrats and stalled rural broadband deployment further with a temporary hold, which some claimed gave MBI and community broadband opponents additional time to further undermine WiredWest’s efforts. Most recently, the same agency that wrung its hands worrying about the efficacy of WiredWest had no problem offering a quick $20 million in grants to private companies for rural broadband solutions. Few in broadband-challenged western Massachusetts are likely to be happy about the results of the latest machinations of MBI’s “free market solution with public taxpayer funds.” Last week, the public got its first look at the submitted applications, largely underwhelming in scope and specifics. 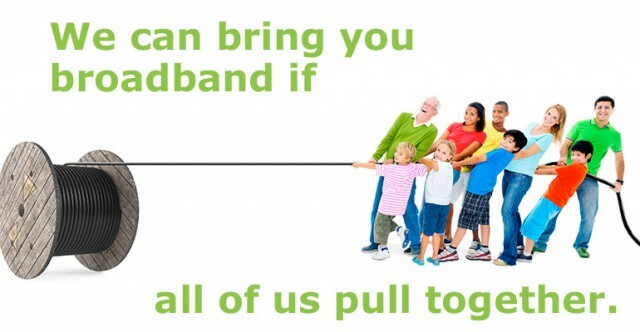 None come close to offering the kind of ubiquitous and affordable broadband WiredWest proposed. MBI also tailored their request for proposals to arbitrarily limit applicants, declaring only companies with $100 million in yearly revenue and at least five years experience building, operating, and maintaining residential broadband networks need apply. Had Google Fiber proposed to wire the entire region with fiber optics in an application, MBI would have turned Google down for lack of experience. (Google Fiber launched service in late 2012.) In fact, no startup or municipal project of any kind could realistically apply. Comcast and Charter could, and both did. Crocker Communications: Short on specifics, Crocker’s proposal claims an interest in wiring almost 40 unserved communities for $59.15 million, including $18.33 million in taxpayer funds, split into individual grants for each community. But even Crocker, among the most ambitious and detailed applicants, cannot meet MBI’s revenue qualifications, so it attempts to claim a vendor relationship with Fujitsu Network Communications of Japan, which supplies network infrastructure. How Fujitsu would be financially involved in the project to minimize the chances of Crocker running into financial problems while building out its proposed network is not adequately explained. Crocker only specifies $5 million of its own assets will be on the line. Crocker’s website promotes the company’s desire to have a bigger presence in the state thanks to its cooperation with MBI. Crocker currently provides internet service to customers of a Leverett-based community broadband project. 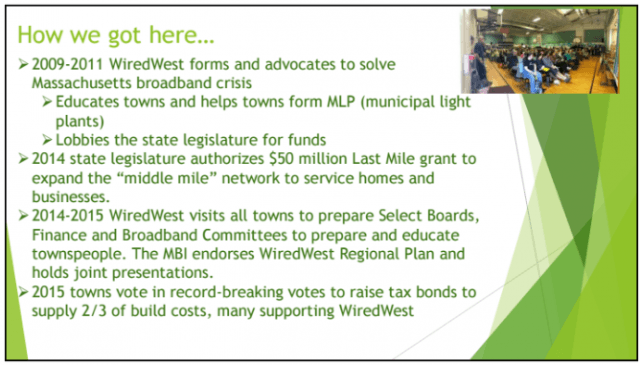 Coincidentally, Peter d’Errico of Leverett’s Broadband Committee was one of the contributors to MBI’s sponsored report slamming the WiredWest project as unrealistic and underfunded. We’re not sure what d’Errico thinks about Crocker Communications’ proposal, which asks for grants as little as $150,000 to help wire one community — New Ashford. Crocker’s proposal won’t be easy for roughly 30% of those living in the nearly 40 communities his company proposes to serve. That’s because his company won’t be serving them. Crocker’s proposal only suggests he will deliver service to about 70% of the service area. MBI wanted proposals that would reach 96% of the population. But there will be plenty of time to contemplate these points. Crocker’s proposal warns residents may have to wait until 2021 before they can get service. That will give would-be customers four years to save enough money to pay Crocker’s proposed installation fees: “under $2,000 for 70% of homes passed” or “$3,000 for 96% of homes passed.” Ouch. Whip City Fiber: Even more murky than Crocker Communications’ proposal, Westfield Gas & Electric’s “Whip City” fiber service submitted a plan offering to serve any of the 40 communities MBI identifies as underserved, but the details aren’t there, except to describe the service the company already provides to its own customers. The actual number of towns to be served and the schedule to launch service are all: TBD = To Be Determined. Mid-Hudson Data: The most modest of proposals from this Catskill, N.Y. based company seeks $260,000 to offer 279 homes fiber service and wireless for another 20 in the community of Tyringham. Customers would pay an installation fee of $150. While potentially good news for customer living near George Cannon Road, it isn’t much help to the rest of the region. Charter Communications: Formerly Time Warner Cable, Charter is hunting for taxpayer-funded grants to expand broadband service to Egremont, Hancock, Monterey, New Salem, Princeton and Shutesbury. All of those communities are near existing Charter/Time Warner Cable systems and the company spared no time in their application promoting their existing close ties with MBI to bring broadband to Hinsdale, Lanesborough, and West Stockbridge. Charter claims it can expand its cable service into the nearby communities in a “reasonable amount of time” but does not get more specific than that. Comcast: Boils down its application to “we’re doing you a favor, but you pay” language reminding MBI the communities Comcast now proposes to serve: Goshen, Montgomery, Princeton and Shutesbury don’t come close to Comcast’s demand for return on its investment. But since taxpayers are helping to foot the bill…. WESTBOROUGH – The Massachusetts Broadband Institute at MassTech (MBI) and Comcast have reached an agreement that will extend broadband access in nine municipalities in Western and North Central Massachusetts, a project which is estimated to deliver broadband connectivity to 1,089 new residences and businesses, and will bring the overall coverage level in each town to 96% or above. The grant will provide up to $4 million in state funds to reimburse partial project costs for Comcast, which has existing networks in each of the towns, to construct broadband internet extensions to additional homes and businesses. The construction of the broadband extensions in Buckland, Conway, Chester, Hardwick, Huntington, Montague, Northfield, Pelham, and Shelburne is estimated to be completed within two years from the start of the project. The public-private partnership will extend high-speed internet service to unserved residents at speeds that meet or exceed the FCC’s definition of broadband service, through a hybrid fiber/coaxial-cable network. Faced with insurmountable political obstacles, the folks behind WiredWest have bowed to the reality of the current political landscape and reintroduced themselves and their newest plan to get western Massachusetts wired for fiber optic broadband while trying to avoid any further encounters with MBI’s speed bumps and obstacles. If WiredWest made one mistake, it was forgetting to establish the one connection that apparently matters more than anything else in Massachusetts: a political connection with state lawmakers. But the indefatigable group has not given up, and if the MBI is being honest about being an impartial partner in improving rural broadband in Massachusetts, there is still a better option available to communities than the six proposals recently submitted to MBI. That option is WiredWest. In its latest proposal WiredWest would continue to play a significant role in the network after being built, with proven service plans that will deliver real broadband service to residents at rates comparable to what private companies charge. But the project will rely on member towns to construct their own fiber networks using private contractors and state and local funding. That puts more responsibility and network ownership in the hands of each individual town, an idea some towns originally rejected as too expensive and cumbersome. But MBI holds the money and has apparently rewritten the rules, so what MBI wants is what MBI will get. The added cost to the project and the communities involved is significant: there will be some towns that cannot afford or manage the responsibility of constructing their own fiber networks and will likely drop out of the project. The new network plan will also increase costs WiredWest originally hoped to avoid. The group’s financial model also effectively subsidized some of the costs for the smallest and least able communities — a model that could be gone for good. Each participating town network that does eventually get built will be connected in a ring topology to MassBroadband123, the state’s “middle mile” fiber network that is run privately by Axia Networks. At this point, it appears 14 communities are still on board with WiredWest, seven are “considering” the new WiredWest plan, and another 16 are “pursuing other options” but have not ruled out staying with WiredWest. It is our recommendation that communities do everything possible to stay loyal to WiredWest, which has a proven track record of being responsive and accessible to communities across the region. Bucking the state’s inexcusable political interference by remaining united sends a strong message that local communities know best what they need, not a high-priced consultant, Springfield-based lawyers and bureaucrats, or the governor. None of those people have to live with the consequences of inferior or non-existent broadband and none have given the problem the kind of serious attention WiredWest has. The biggest challenge to WiredWest isn’t its financial sustainability, it is politics, and that needs to stop. We’ve reviewed the submissions from MBI’s latest round of grant funding for private projects and they are all inadequate. While many of the companies involved are well-meaning and we believe could play a role in improving rural broadband, most of the applications seem to have been rushed and many lack specifics. The region should not accept any plan offering only 70% broadband coverage, much less a proposal that will force another four-year wait for broadband (we credit Crocker Communications for at least including a specific timetable, something many of the other proposals did not.) Installation fees up to $3,000 are also unaffordable, with or without a financing plan. Some analysts still worry if WiredWest can attract enough customers to be sustainable. If it isn’t, most of the private projects MBI has received applications for certainly are not either. Assuming customers can afford a few thousand dollars for installation — a major impediment to getting new customers, there is no guarantee which homes will get service and when. Competitively speaking, considering the only available alternative in most cases is spotty 1-6Mbps DSL from Verizon — a service the company has lost interest in improving or expanding — Verizon is likely to receive the same treatment it gets in other communities where better alternatives exist — a mass exodus of customers cutting Verizon’s cord for good. In fact, Verizon may ultimately sell its landline network in western Massachusetts to another company as it continues to disengage from its wireline businesses. It is highly unlikely any competitor of WiredWest will guarantee access to at least 25Mbps broadband. 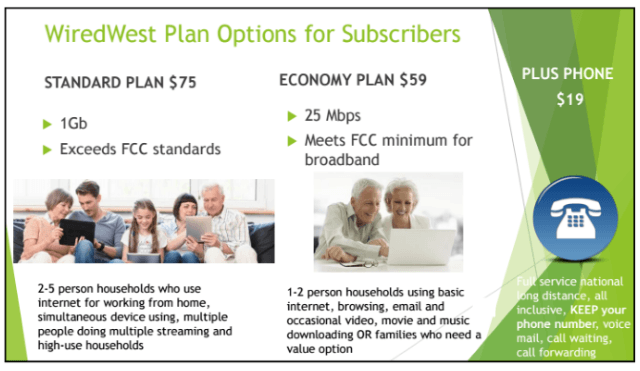 WiredWest proposes to charge $59 for 25Mbps or $75 for 1,000Mbps broadband. Digital phone service is $19 a month. An installation fee of $99 will also apply. That is not out of line with what cable companies and other gigabit providers have charged, and they have won a comfortable market share. Private cable and phone companies also continue to raise rates on broadband, if only because they can, providing additional competitive insulation. MBI’s grants should also not be the end of the story. New York last week rescued up to $170 million from the FCC’s Connect America Fund (CAF) to expand broadband deployment in unserved rural areas of New York State — money Verizon forfeited by expressing no interest in rural broadband expansion. That precedent opens the door for other states to recapture similar federal grants, including those that could target western Massachusetts where Verizon has also declined to accept CAF money. That could ease some of the money worries about WiredWest’s construction costs as well. At the end of the day, area residents have turned up repeatedly at various events across the region holding signs supporting their choice in local providers: WiredWest. Nobody was holding up a sign hoping Comcast or Charter would be the company that finally brings broadband to their communities. The irony of using taxpayer dollars to fund Comcast in particular is not lost on their customers — many that loathe the company and wish they had another choice. Handing $20 million to that cable giant to expand in western Massachusetts guarantees their newest customers won’t have a choice either. Isn’t it time to give these communities what they want? They clearly want WiredWest. When the Berkshire Eagle asked readers to test their internet speeds and share the results, along with opinions about their broadband options, the newspaper hit a nerve. Over 400 readers in western Massachusetts promptly responded, many with scathing stories about slow speeds and unresponsive customer service. “It” is Verizon’s DSL — broadband for the masses of landline customers in Massachusetts unlucky enough not to have FiOS fiber to the home service available before Verizon decided to stop expanding its copper-replacement fiber network. For the last seven years, Verizon’s DSL has remained more or less “as-is,” with no significant service improvements or apparent expansion effort. Unfortunately, as customer demand for bandwidth grows, performance drops unless providers continually invest in new equipment to manage demand appropriately. Customers in western Massachusetts report Verizon seems to be making do with what they already have, and speeds have suffered. Douglas Mcnally of Windsor, a member of the Select Board and consultant whose job depends on a good internet connection told the newspaper he really doesn’t have a consistently reliable connection. One test showed a speed of 2.82Mbps, but a second one returned a speed result of 0.64Mbps. Barbara Craft-Reiss from Becket has a connection also topping out at 0.64Mbps. In Dalton, a customer that repeatedly complained about his 1.5Mbps speed was told that was as good as Verizon DSL was going to get. On August 13th, 2011, The WiredWest Cooperative in western Massachusetts was officially formed by charter member towns. The project has gained some town, lost some others as the region works towards faster broadband instead of waiting around for Verizon, Comcast, and Charter. Verizon seemed to echo its “done with DSL” attitude to Robert Rosen who has subscribed since the 1990s at his home in the Otis Woodlands area. “In the beginning, the signal was very strong. Every six months I would call Verizon and see if I could get a stronger signal. Sometimes it was boosted, however in the past several years I have been told by Verizon I am at max strength,” Rosen said. But at least he could subscribe. Verizon customer service agents have warned some customers if they drop DSL service, they cannot come back. Bob Johnson dropped his 2Mbps Verizon DSL account — the one he inherited under the previous account-holder’s name. “I was told that if I cancelled the previous owner’s account, I would not be able to get an account at all,” Johnson reported. 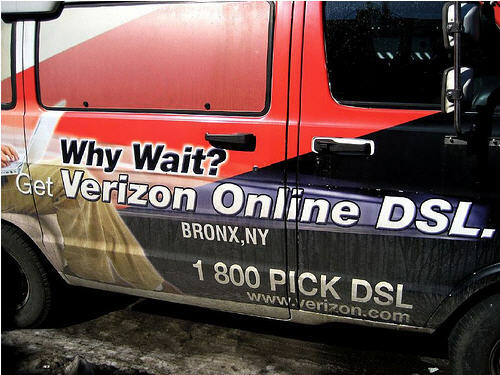 A Verizon spokesperson claimed DSL is still available in Verizon’s FiOS-less service areas, as long as the customer’s line passes a loop qualification test. Only ISDN has been decommissioned in certain service areas, the spokesperson claimed. But Stop the Cap! has heard from countless Verizon customers who share stories of deteriorating performance and disinterest in improving service, and customer service agents won’t even sell DSL to customers without bundling landline phone service. “The telco operators haven’t been able to shake off the losses of DSL subscribers, but we expect to see increased fiber deployments in the coming quarters, which should help AT&T and Verizon return to growth,” Jason Blackwell, director of Strategy Analytics’ Service Provider Strategies Service said last summer. But much of that growth seems to be targeted for urban and suburban areas, not rural areas where DSL is often the only available broadband technology. 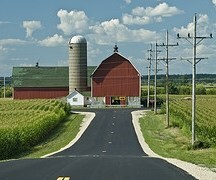 Cable broadband is generally not available in rural areas. Despite telco claims that wireless broadband alternatives will eventually solve the rural broadband problem, Blackwell is skeptical. The availability of a cable competitor has helped some in western Massachusetts resolve their broadband problems, but only in communities where cable operators exist. Many western Massachusetts residents are still waiting for community-owned gigabit-capable fiber broadband through the WiredWest project. In late 2015, politics from the governor’s office put a “pause” on all state “last-mile broadband” projects and a sudden policy shift required each town to own its own network infrastructure despite the widely expressed desire on the local level for a regional approach. More than a year later, the project to improve broadband across the western half of the state is still trapped by bureaucratic interference, allowing the state’s big cable and phone companies to continue the status quo with no alternatives on the immediate horizon. As of late December, the project is gathering support for sending a resolution to state officials reaffirming their request to allow local communities involved in the project to determine their broadband future without onerous requirements from the governor’s office. Without WiredWest, the future is not good. Unless Verizon changes its mind about broadband deployment in western Massachusetts or cable operators Charter and Comcast spontaneously expand their service areas, readers of the Berkshire Eagle can expect more of what staff writer Larry Parnass summed up in two words: extreme disappointment. It is hard to imagine there are still cable systems serving customers with nothing more than a slim lineup of standard definition cable television channels in 2016, but not if you live in three Berkshire towns over the New York-Massachusetts border where Charter Communications will finally introduce HD television and internet service starting next week. 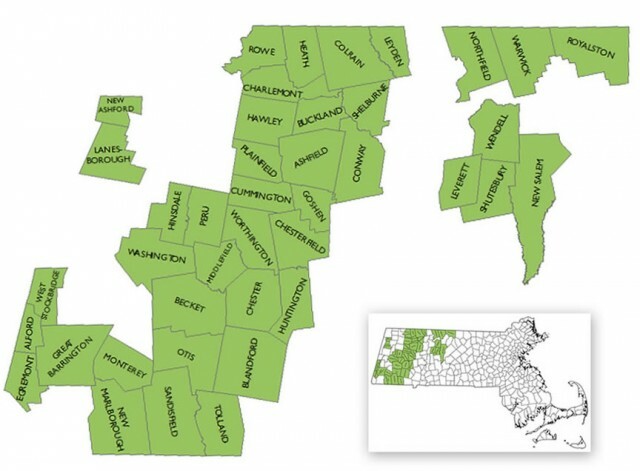 Lanesborough, West Stockbridge, and Hinsdale all suffer from the pervasive lack of broadband common across western Massachusetts. But these communities, along with Charter’s cable system in nearby Chatham, N.Y., are benefiting from regulator-mandated upgrades as a condition of approving Charter’s acquisition of Time Warner Cable. 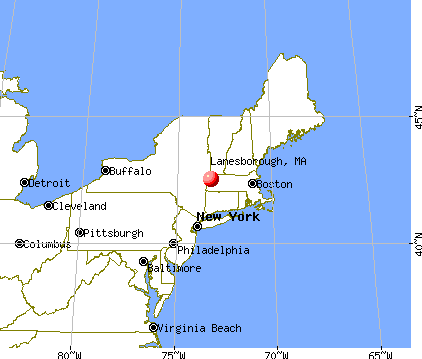 Charter Communications has almost no presence in New York, except for 14,000 customers in Plattsburgh and the seriously antiquated system in Chatham that isn’t too far from the dilapidated systems serving the Berkshires on the Massachusetts side of the border. Like in Chatham, customers in the Berkshires pay for service similar to what cable customers received in the 1980s – no video on demand, no internet access, and a capacity-strained system that lacks enough bandwidth to offer HD channels. The upgrades will cost about $6,000 per customer — numbering 2,500 in Chatham and another 800 in the three towns in Massachusetts. Charter is paying the bill. Charter’s acquisition of Time Warner Cable will make things easier for the cable operator, because it will extend fiber connections between the Charter systems and existing Time Warner Cable infrastructure nearby. In Massachusetts, Charter’s upgrades require customers to install new set-top boxes in time for the switchover on Aug. 2. A week later, on Aug. 9, internet access will be available at the two speeds Charter traditionally offers — 60 and 100Mbps. Most customers care a lot less about improved cable television and are more concerned about getting broadband. Western Massachusetts’ broadband problems have affected property values and kept businesses from relocating or expanding in the area. Few areas in the northeast have languished with inadequate internet access more than Massachusetts communities west of Springfield. The large consortium of 44 communities working under WiredWest have spent years working towards community-owned fiber to the home service in the western half of the state, but the project ran into political interference at the state government level. Lanesborough had been part of the WiredWest collaborative effort, reports iBerkshires. With Charter’s upgrade, the community may decide to drop out of the project, even though it would likely deliver superior broadband service over what Charter will offer.